Jailbreak bars stiffen the body of the fairway allowing for an ultra-thin Carpenter 455 steel face. Face Cup technology allows the face to flex for dramatic ball speeds on both center-face and off-center hits. Jailbreak Technology + Fade Cup deliver exceptional launch, spin nad speed characteristics. A wide variety of models adn lofts are available. To dramatically change driver performance, you have to dramatically change driver dynamics. That’s what inspired Callaway R&D to break away from our own industry-leading metalwood design protocol to once again re-invent the driver. We took the revolutionary technologies that made GBB Epic the best-selling driver in Europe* and supercharged them to create Rogue, a driver that combines all we know about boosting ball speed with a new, MOI-enhancing shape that delivers extraordinary forgiveness. Industry-leading ball speed comes from what we call “The Jailbreak Effect.” First, we enhanced our revolutionary Jailbreak technology with new, hourglass-shaped titanium bars, making them significantly lighter without affecting their ability to minimise crown and sole deflection at impact. That allows for a thinner face and better energy-transfer to the ball, to promote faster ball speed. Next, our enhanced X-Face architecture thickens and thins strategic areas of the face to promote higher ball speeds on off-center impacts and consistently high ball speed and long distance overall. 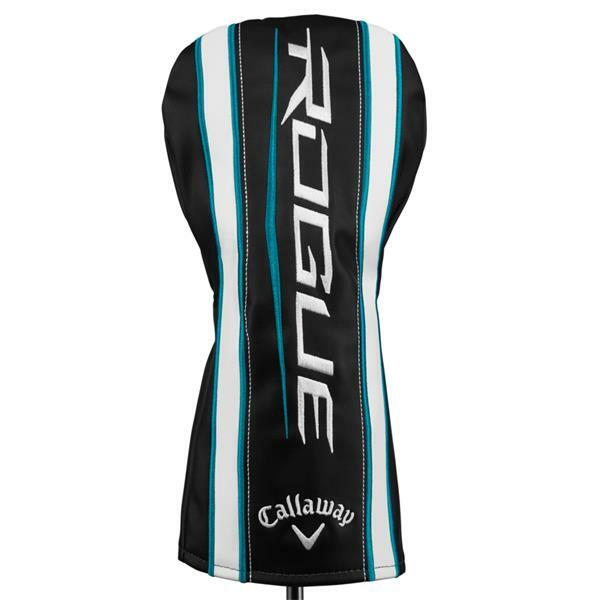 Rogue’s new and more forgiving 460cc shape boasts a larger address footprint than Epic, encouraging golfers to relax, cut loose and make a free and fast swing. 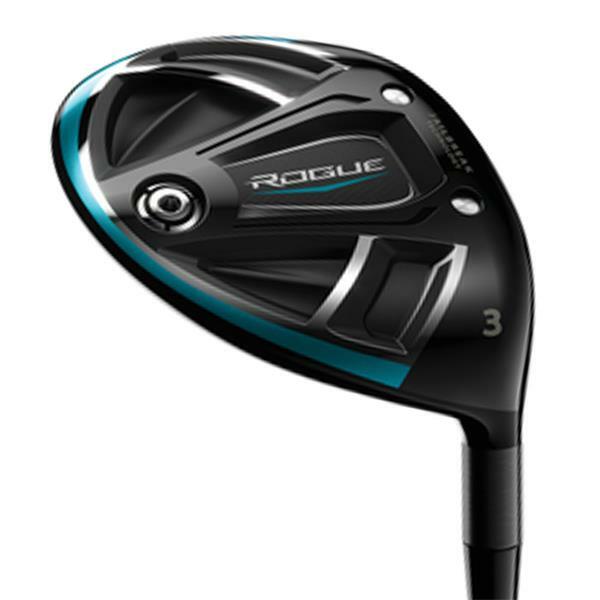 Rogue’s extreme forgiveness is also made possible by our incredibly light and strong triaxial carbon crown, which allows more weight to be distributed into the head’s perimeter to increase stability on off-centre hits. Golfers will never stop thirsting for more ball speed and forgiveness. We’ve given them what they want by going Rogue. Rogue employs improved Jailbreak Technology with new, hourglass-shaped titanium bars that are 25% lighter, while fulfilling their function to stiffen the crown and sole. The stiffer body allows the face to take on more impact-load to promote faster ball speed, and makes possible our new X-Face VFT face architecture, which promotes fast ball speed across an expansive area of the face. Together, Jailbreak and X-Face VFT work together to create what we call the Jailbreak Effect, which promotes a remarkable boost in ball speed and distance. Callaway is the leader at using carbon composite materials to enhance metalwood performance. Our proprietary triaxial carbon composite is extraordinarily light and strong, saving substantial weight. We’ve redistributed that weight into the head’s perimeter to significantly increase MOI and forgiveness, which helps preserve distance and direction on off-center hits. Rogue has the largest triaxial carbon crown of any Callaway driver ever. Boeing and Callaway collaborated to develop the Speed Step technology used in Callaway metalwoods the past three years. In Rogue, we worked with Boeing to redefine the geometry of the leading edge to optimise the location of the Speed Step, improving airflow and delaying laminar separation. This helps regulate the airflow more efficiently to promote faster head speed. Combined power of Jailbreak Technology and X-Face VFT Technology that promote high ball speed and long distance. Largest ever carbon composite crown surface area in a Callaway driver and new high-MOI shape with larger address footprint combine to increase stability and forgiveness. Redefined leading-edge geometry increases the Speed Step’s efficiency for better airflow and more head speed.